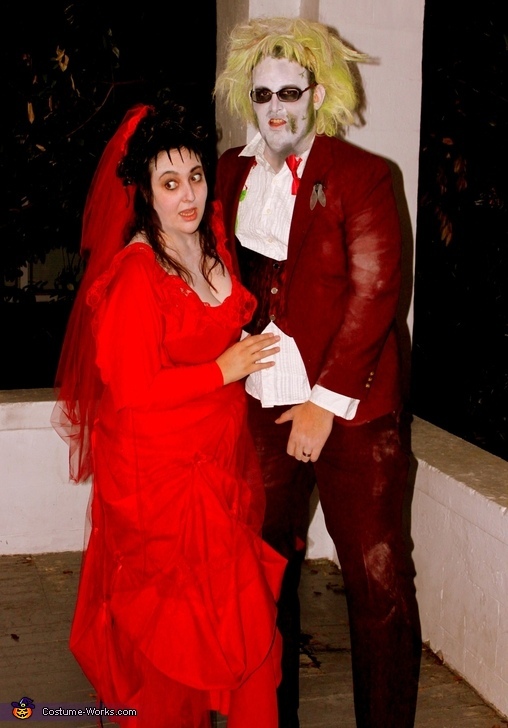 Here is our costume from this year... Beetlejuice and Lydia. My name is Marla and Beetlejuice is my husband David. We had a great time putting this together and had a ton of response, having to take pictures with tons of people. I made my costume out of a red tablecloth because it was the cheapest way to buy that much red fabric. He had to be a little crude all night because we had watched the movie 3 times and he was in "character." Great costume! Love it! May have to give this one a shot! Such a great costume! I love it! !